Not everyone wants their tree stumps ground or removed. Sometimes they make a comfortable perch in the sun! But in the average garden tree stumps are simply a nuisance - something to trip over or to ruin the design or the smooth run of your lawn. And of course some trees, like ash, may sprout and produce more unwanted growth. 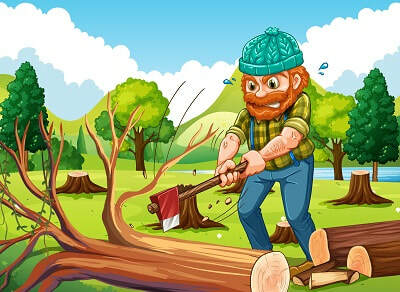 Of course you could hire a stump grinder or tackle the job with an axe or a hammer and chisel - but isn't life too short for such a long-winded approach? Wouldn't you rather call in the experts and get the job done in a timely and cost-effective manner? That's why Horsham Tree Surgeons offer a fast and efficient treestump grinding service. If you don't want your stumps fully removed, why not have them ground down? You could leave them to rot naturally but that's a very long process and may leave your garden looking shabby in the meantime. Our stump grinding service is very popular and our modern machinery is sure to impress. As always, we clear up any mess to leave your garden looking at its best. If you want your tree stumps completely removed, we can do that too.